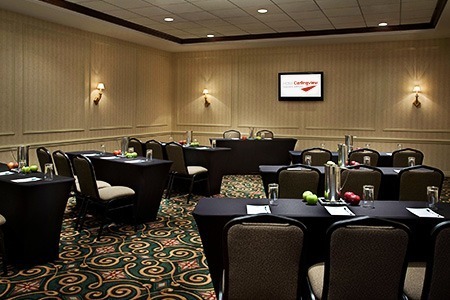 Inspired meetings happen in the Carlingview Room. With natural light, high ceilings and space for up to 40 people, this room is ideal for board meetings, seminars and events. Guests of Hotel Carlingview Toronto Airport find everything they need to enjoy their stay, from morning pastries and coffee between 3 AM and 9 AM daily in the hotel lobby, to delicious à-la carte breakfasts, Starbucks® and dinners at The Bistro of the neighbouring Courtyard by Marriott, just steps from the hotel lobby. Take a look at the amenities offered.